We provide termite control in Dhaka city, Bangladesh. Termites are such a pest that can enter your any kind of household. It can enter and build its colony is any surface. They can easily go through the tiniest gap can in the metal or concrete, thin or heavy material. But when they get in usually they head to the wooden things. So you need an expert team to deal with. We are the best in termite control service provider, Dhaka, Bd. We can fight them with success and your satisfaction guaranteed. With mud, the little engineers called termites build a tunnel that is air and damp tight. These tunnels lead to the colony which they live in within the earth. Termites are sometimes also called white ants. These colonies move up to the pipe wires and even sometimes to some extension nearby. The analysis says that termite causes more harm to the society than fires, floods or even hurricanes. For this reason, we can name termites as silent invaders. Any visible sign of termites can only be seen when a significant harm is done already. Our community is also built in destructing the surroundings of the natural environment. Nature also finds us destructive to the natural environment. These pests are the soldier of them. Actually, they also try to continue their normal life cycle breaking our colony as we do. A termite colony holds thousands to millions of white ants in them. These white anta searches for food and takes the food back to the colony carrying on their back. These colonies always go expanding. We have the technique of heat treatment and procreative termite swarm to detect the replaced colony. We adjust our way of termite control service by the scrutiny report and the weather condition of Termite Control in Dhaka BD. Termites need extreme humidity to survive. So they try to build a shield against drying out. The termites use soil, waste material and spit to build the mud colony of them. The mud tube they build gets connected with the wooden furniture at the end of it. Google sear with the term termite control near me and you will get a lot of choices for it. whenever you see any proof of mud colony or having termites just turn to us immediately for the examination. First of all, we will do an intense scrutiny. The scrutiny will be off the basement, wet areas of the home and the areas which can be favorable to the termites. Afterward, we use our most effective steps to destroy them. It can be like general pesticide spraying, perimeter treatment, aluminum phosphide treatment, drilling treatment. 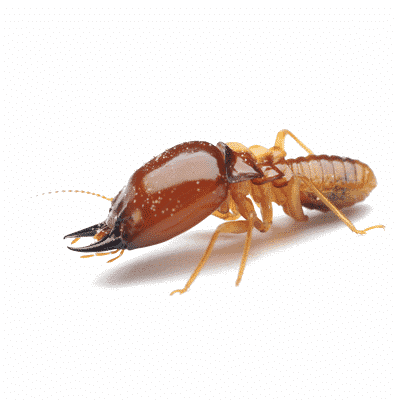 We guarantee a most effective termite control service in Dhaka, Bd. We also ensure your 100% satisfaction. As we will do whatever needed to omit the infestation. We also offer a constant after service afterward. After giving the scrutiny service you will get a digital recommendation. Here you will get the outline of how we will do the termination process and what you should do to maintain after we are done. So don’t hesitate anymore and hire us to get your ultimate termite control service. We do google adwords marketing, facebook marketing, youtube advertisement for a reputed it service firm in Bangladesh for Termite Control in Dhaka.